This small gift basket is perfect for Mom, Grandma, your child's teacher or a friend. These items are beautifully packaged in a versatile galvanized container (a neat gift in itself!). 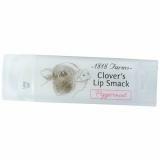 Products are hand-made in Alabama, and are preservative free. 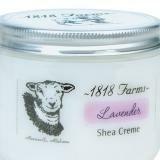 Shea crème should be stored at room temperature (no more than 76 degrees F). Oatmeal, Milk & Honey Soap: Weight, 2.3 oz, Ingredients: Olive Oil, Coconut Oil, Water, Sodium Hydroxide, Organic Palm Oil, Fresh Goat's Milk, Organic Sunflower Oil, Shea Butter, Fragrance, Oats, Honey.